Turbel Motel, located in Cavusin village enjoying aprime position with great views of the surrounding area and the old cavusin village, has been converted from a local farm house into a nice hotel. The panoramic view of its restaurant extends on theancient village troglodyte and towards the other villages of Cappadoce (Avanos, Göreme, Uchisar). 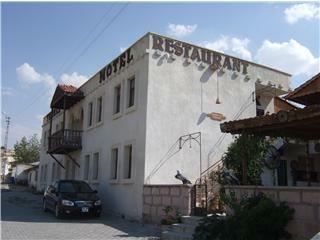 The Turbel motel is a good base for many excursions to following sites; Pasabagi, Zelve, the pink valley, thered valley, the rose valley. 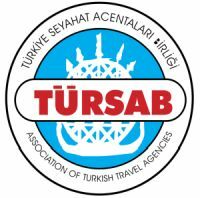 Often public transportation services (dolmus) makes it possible toreach all the other sites of Cappadocia. 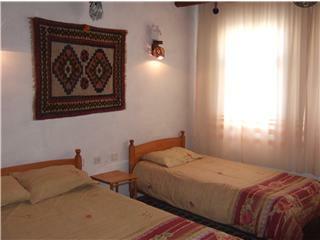 How to Come The very calm hotel is located at CAVUSIN, typical village in full heart of Cappadoce. 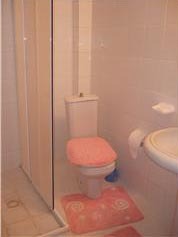 Rooms: – All with hot water, Concues in the local tradition, Ceilings drink some for a betterventilation, 5 rooms with bath-tub – WC, 9 rooms with shower – WC, 4 rooms troglodytes in thecourse of installation, 5 rooms voutees. 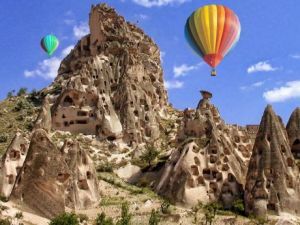 This entry was posted in Cappadocia on September 27, 2018 by Guide.